This is gaming news for November 28 through December 2. First things first: If you’re coming in here for the usual onslaught of trailers, you’re not going to find much this week. Most anything worth anything aired last night during the 2016 Game Awards, and we’ve rounded all those up over here for you. That leaves the barest of leftovers for our wrap-up this week. 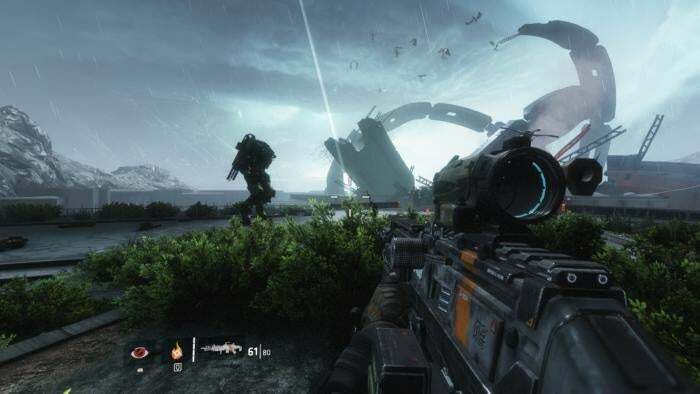 In non-trailer news, Titanfall 2 is free this weekend, Rocket League is getting a new Halo-esque map, Pathologic emerges from the Kickstarter cave, and Grand Theft Auto IV got patched. Yes, that's GTA IV, not GTA V.
Time for our weekly “What’s Free This Weekend?” segment. And as we roll into December, EA’s getting everyone into the holiday spirit with a free multiplayer demo for Titanfall 2. It’s uh...apparently not selling too well despite being pretty good. As in, "a quarter of the copies of the original" not well. I guess that’s what happens when you launch between Battlefield and Call of Duty. But that shouldn’t stop you from playing! 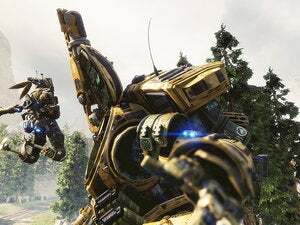 Titanfall 2’s multiplayer may not have won me away from Battlefield 1, but it’s a decent evolution of the original game and definitely a fine way to spend a weekend. The free weekend lasts through December 4. This is your chance to prove all the “Mouse and keyboard is more accurate” smack talk is correct and trounce some console-ites. Good luck. We’ve shown off a bunch of trailers for the new Cities: Skylines expansion, Natural Disasters, but none quite as disastrous as this one—by which I mean a bunch of cities get wrecked. Perfect. The PC port of Grand Theft Auto IV: Niko Goes Bowling is legendary for being hot garbage, but now it’s slightly less garbage thanks to a patch this week—the game’s first patch in six years. Hallelujah. It’s still got that Games for Windows Live stink all over it though. Anyone still playing Star Wars Battlefront? Well if so, there’s one final piece of DLC coming soon in the lead-up to Star Wars: Rogue One. And no surprise, it’s tied into Rogue One, specifically the tropical planet of Scarif. Oh, and if you hadn’t already guessed, EA confirmed to Videogamer.com that there will be no Battlefield next year as DICE gears up for Battlefront uh...2? 4? Not sure what numbering scheme they’ll go with yet, though hopefully they don’t ask whoever named Battlefield 1. The Kickstarted remake of Pathologic is apparently coming along fine, with developer Ice Pick Lodge releasing a series of short teaser videos this week (and a demo today to those who pledged $80 or more). I’m only going to share one, but there are more on the developer’s YouTube page. It looks suitably creepy. And if you’ve never heard of Pathologic, start here. I’ll take any opportunity to link that series. That seems like a good note to end the week on. See you back here next Friday.